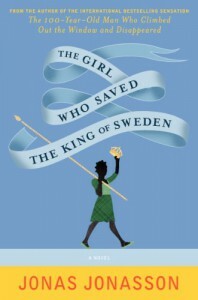 The Girl Who Saved the King of Sweden - delightful but way too long - "So it goes." A delightful, surprising, silly, convoluted and humorous historical tale -- until it went on way too long. Nombeko, the hero/main character, turns all bad things her way. She's smart, snarky and rather wonderful. She does some crazy things, but because it's a fantastical story, I was more than willing to follow along. From the most humble of beginnings in Soweto, Nombeko ends up with a pile of diamonds, then through some crazy accident she backtracks by getting somewhat enslaved (I suppose it's actually indentured servitude) to a stupid man who manufactures nuclear weapons. She's smarter than the man, so she gets the better end of that deal after a while, though she gets caught up with a couple of Mossad agents in the process. All of that takes her to Sweden, also rather accidentally. There she hooks up with a set of twins (Holger One and Holger Two -- it really is quite silly) who have a plan to liberate Sweden from royalty. 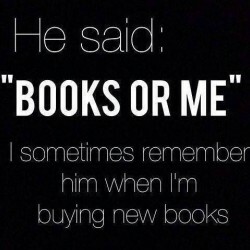 Needless to say, this doesn't sit well with our hero, who falls in love with the smarter of the twins. Their lives are intertwined irrevocably, so she and her Holger do their best to smother the murderous intentions of the other twin. Eventually all of this leads to the saving of the King of Sweden, among other international figureheads. And that is where the story should have ended, but it didn't. I was up for all of the previous plot, though it became less satisfying along the way. I could never have guessed what turns the plot would take, but the writing became repetitive. The tone stayed cheeky, the facts stayed wild, and after Nombeko had done so many amazing things, overcome entire intelligence agencies, court systems and arms manufacturers (not to mention apartheid,) and saved the King of Sweden, it just lost the luster. It all became the same, and that is decidedly not delightful. And as for taking on race and class and all the other issues, it just doesn't. It uses these facts and history in service of a fun fairytale, but that's not the same as a good examination of the issues. I have the other two books by this author - gifted to me by a friend who thought I'd adore them. I may eventually read them, but for now, I've had enough of this yarn.